It was not the delightful tale of how Nicotiana Tabacum came to our shores in the pocket of a friar aboard a galleon that grabbed my attention but the stunning inventory of intricately rendered wrappers (read vestments) that fill this edifying volume. It may look like one, but VESTMENTS OF THE GOLDEN LEAF by Atty. Saul Hofileña,Jr, is not just a decorative book to adorn your coffee table. The cigarette wrappers are classified according to provenance a device that allows one to trace the growth and expansion of the tobacco industry after it was demonopolized by the Spanish colonial government in 1881. With the Cagayan Valley as the main source of the golden leaves, Binondo as the center of manufacturing and trading, the industry engulfed Manila, then Bulacan, Pampanga, Bicol, and the Vizayas. Local artists remain unknown but through the author’s magnifying glass, printers and lithographers have surfaced– Carmelo and Bauermann (one connected with Obras Públicas, the other with the government press), Oppel y Cia., Salvador Chofre, Mendezona, Chicote, Cacho Hermanos, Guillermo Partier– mostly foreigners established on Escolta, Carriedo, and Azcarraga. Atty. Hofileña included famous cases notably of Paul Meerkamp van Embden whose tobacco business became collateral damage during a World War. 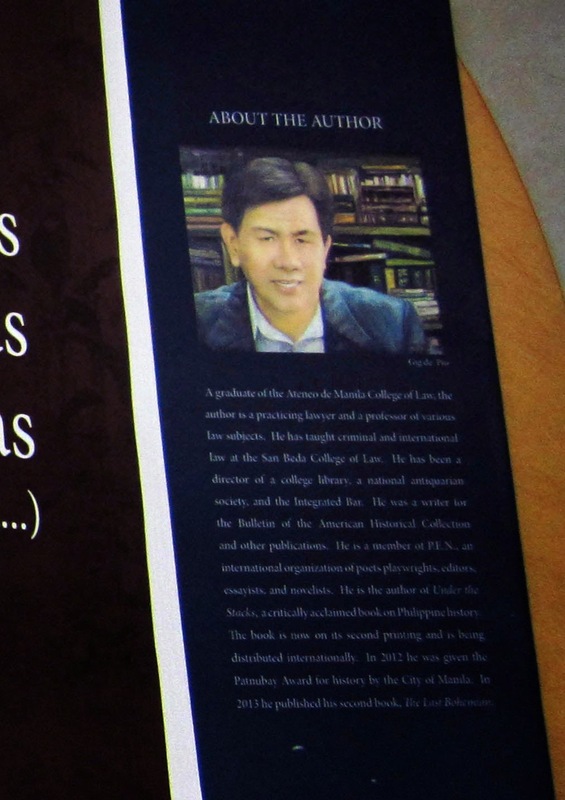 Rizal’s friend, Ariston Bautista of Germinal, sued Chan Chuico for copying his “La Intimidad” label. Alhambra Fábrica de Tabacos, Cigarillos y Picadura took Enrique Caruana of La Yebana to court over the use of the word “chorritos”. Most of the traders were Chinese, but Filipino workers attempted to carve a niche. Katubusan (redemption), an early cooperative, was open to membership for only two pesos. Artist Jorge Pineda of Carmelo and Bauermann drew the Katubusan image, a young Filipina crowned with sampaguitas. It appeared on the “El Renacimiento” cover in 1910. In vestments of the golden leaf, authored by lawyer and historian Saul Hofileña Jr, there is relevant data about manufacturers, factory locations, porters, exporters, dealers, and procedures for registering trademarks recorded in Libros de Acuerdos. Scholars interested in tracing our economic history should go directly to this impressive book. Interestingly, the tobacco monopoly created a demand for female labor—dobladoras, cortadoras, torcedoras, encajanadoras, kahistas. A full-page photo of the latter, seated on a rough wooden chair is but a glimpse of labor conditions then. However, they were treated to music while working, unlike their Cuban counterparts who preferred stories read aloud to them. By far the most intriguing wrapper is “La Cubana” (Pedro Roxas, Calle Carvajal, Binondo) which boldly depicts a submarine exploding a ship, obviously the USS Maine , blown up at the Havana harbor to provoke the Spanish-American War. The USA blamed Spain but through his label, Roxas mutely revealed the facts. The signature label “La Insular” carried a quality assurance in English, French, and Spanish; a veritable masterpiece, it rivals those delicate renditions of ancestral homes now covetred by collectors. A pity it no longer exists like the Fabrica de Tabacos Meisic which in 1875 employed 6,000 workers. Hofileña included plans of that fort-like structure which later became military barracks. A thorough study of Hofileña’s “vestments” reveals how manufacturers lured different sectors in a relentless quest for market dominance. They used Rizal, local myths, Junoesque women in flowing robes against distant landscapes, classy Filipinas in native finery framed in Art nouveau designs reminiscent of ilustrado homes. Men were shown in military regalia or as dandies, muscled laborers, and farmers. The First Philippine Republic & the United States covers maps from the period of 1898, when the Americans arrived in the Battle of Manila Bay and the First Philippine Republic was established, to 1907, when the First Philippine National Assembly was convened. A must-see for map collectors and history students, the exhibit is an interesting and educational representation of early American colonial presence in the country. On display are not only century-old maps, but also books, photographs, lithographs, war medals, flags and other memorabilia pertaining to the Philippine-American War. "The exhibition was drawn from private collections and covers the formation of the First Philippine Republic in Malolos; the Battles of the Filipino-American War from the first shot near San Juan Bridge until the capture of President Emilio Aguinaldo in Palanan; the efforts of the United States to improve education, health, transportation, and governance to win the trust of Filipinos; until the organization of the Philippine Assembly (1907). 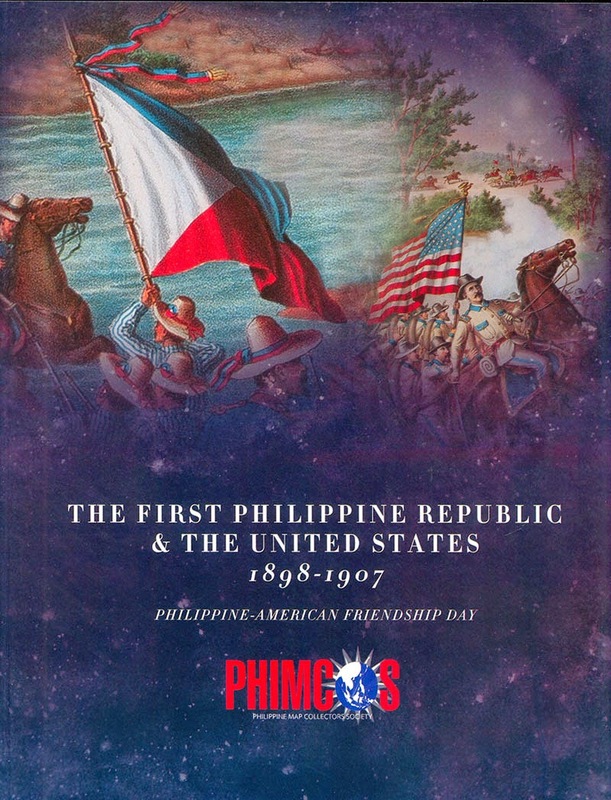 The First Philippine Republic & the United States is presented by the Philippine Map Collectors Society in partnership with Yuchengco Museum in celebration of the Battle of Manila Bay and Philippine-American Friendship Day. 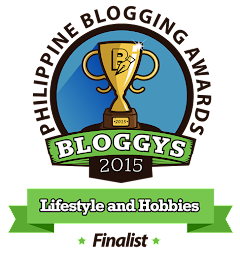 Photos and medals of the 1st Philippine Assembly.